As my forthcoming exhibition at the Art Vault in Mildura draws ever closer, I’ve been taking a temporary break from the current watercolours (which are intended for a different project) and returned to cutting lino. The solo exhibition, Homo-insecta will be my first for many years to consist entirely of prints. 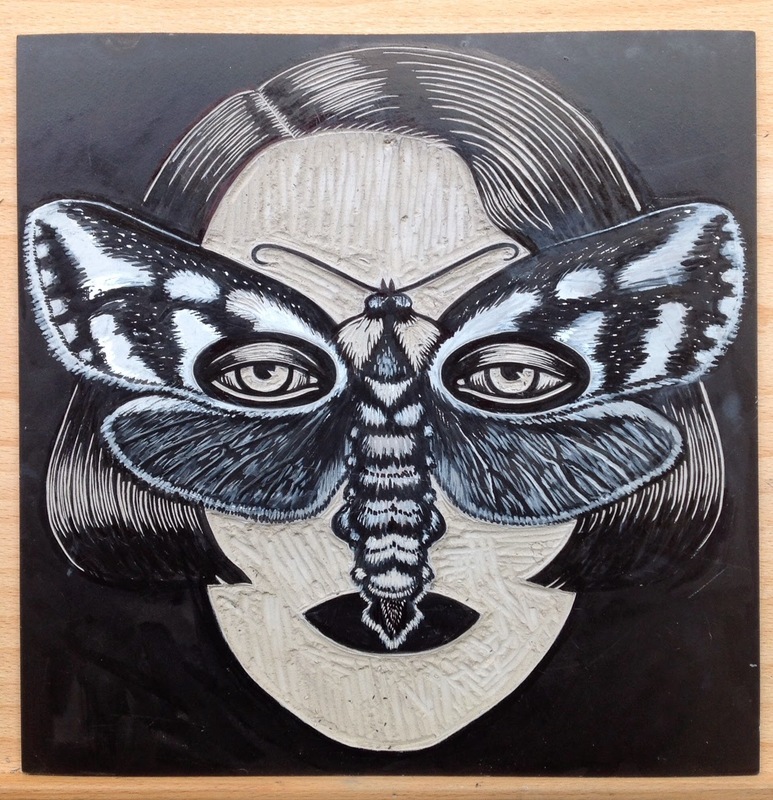 I’ll be showing selected linocuts from the artist book of the same name, along with other new works that hark back to the Moth Masks series of prints, paintings and drawings (2007-2009) from which one of my first fairy tales, The Story of the Moth Masks, 2008, sprang. As some of you may be aware, many of the moths that appear in my work were sourced from the CSIRO website Australian Moths Online. 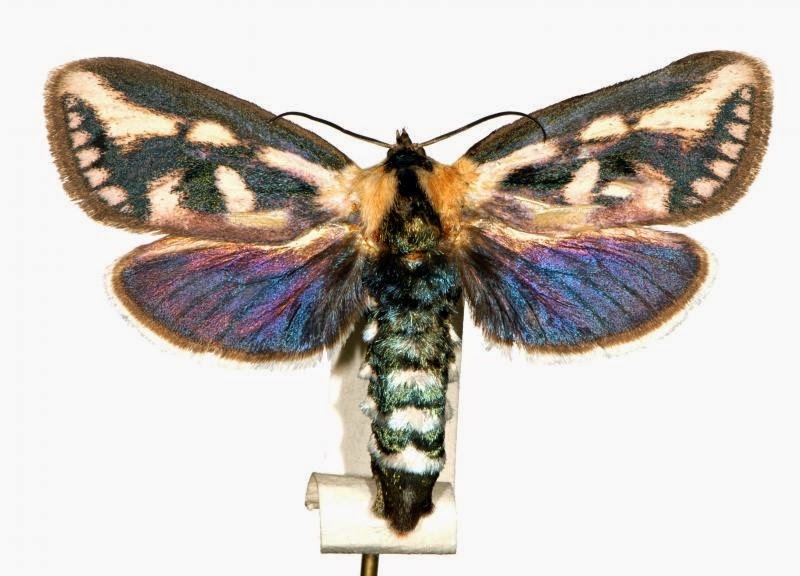 I thought I’d just about mined out this astonishingly rich site – but then I found this fine specimen, which became the basis for Cossodes Lyonetii Moth Woman. The completion of the cutting has just about coincided with the end of winter in this part of the world, so the timing is perfect. It’s been particularly cold, even for Ballarat, and the weather has played havoc with the consistency of my printmaking ink. Initially I thought it was the ink that was at fault, and even discarded a tube of it. 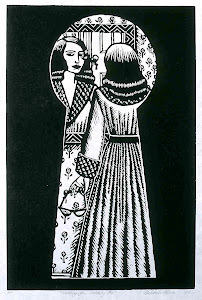 But after comparing notes with fellow printmaker Loris Button, who is based in nearby Creswick, I discovered she was having identical problems. Already the weather has started to warm up. With a substantial amount of printing still to do for the exhibition, I’ve never anticipated springtime so eagerly. 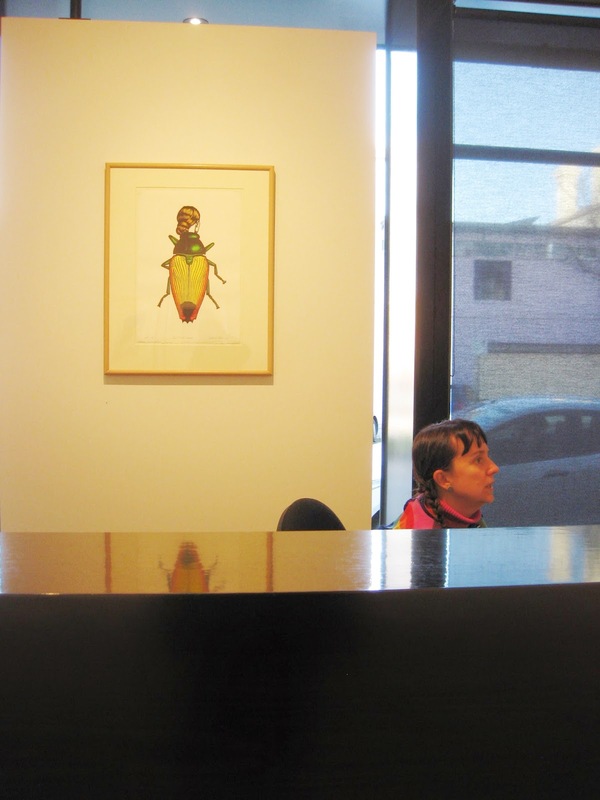 Homo-insecta opens at the Art Vault on November 26 and runs until December 15. Meanwhile, a gentle reminder that on Saturday week four prints from the Homo-insecta portfolio will make their Melbourne debut in the exhibition Near Neighbours, where they will rub shoulders with works by distinguished printmakers from Australia and New Zealand. For more about Near Neighbours and to preview some of the work, scroll down to my Blog Post dated August 10 or click HERE. Better yet, join the artists and curators Rona Green and Paulette Robinson for a celebratory drink at the opening at St Heliers Street Gallery, 2-4 pm on Saturday, 6 September. Blister Beetle Woman, 2014, watercolour, 41.91 x 29.72 cm. Before, after and in between recent MIFF screenings we somehow found time to capture another insect woman. This was no mean feat, as the dark and dangerous Blister Beetle Woman is truly the femme fatale of the homo-insecta world. Blister Beetles (Coleoptera) from the Meloidae family are named for their defensive secretion of a blistering agent, Cantharidin, a poisonous chemical that causes blistering of the skin. It is used medically to remove warts. Many Blister Beetles (including this example) are conspicuously colored, alerting would-be predators to their toxicity. Pictured above: the fully formed homo-insecta, followed below by a series of images sequentially charting her evolutionary progress in reverse. As of yesterday evening, the Melbourne International Film Festival is over for another year. I always feel a bit sad to see it end, especially when I’ve enjoyed it as much as I did this one*. It’s the one of the few times of the year that I give myself permission for a little guilt-free time off work. But with several deadlines looming, needs must; I brought a pile of homo-insecta linocuts with me to Melbourne, intending to hand colour them in between trips to the cinema and on the rare days we didn’t have a film to go to. It worked out surprisingly well; MIFF became a sound structure around which I was able to create an effortless and satisfying balance between work and play. The hand colouring was completed somewhat ahead of the time I’d allotted for it (see August 10 blog post) and so I seized the opportunity to continue with the fledgling homo-insecta watercolours. By the festival’s end two more of these were nearly completed. The finishing touches to the second were applied earlier today. (Both will feature in future posts). But it hasn’t all been MIFF and work. 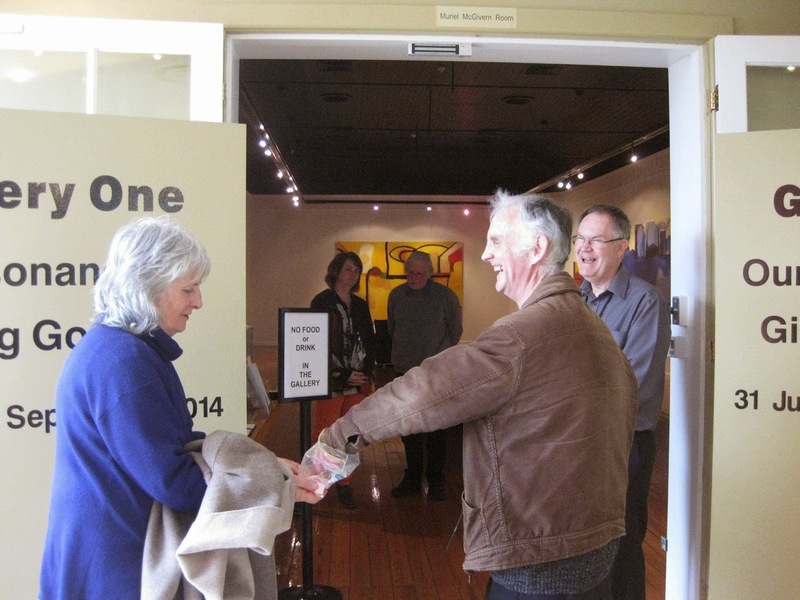 On Saturday afternoon Shane and I drove to Maroondah Art Gallery to see Resonance, Craig Gough’s dazzling solo exhibition (is there another living colourist as fine as he?) At 2 pm Craig gave an informal, entertaining and enlightening floor talk, which, thanks to his enthusiastic audience, generated into a lively discussion specifically about his work and broader issues including abstraction versus figuration and acrylics versus oil paint. Back in the dim, distant 1980s, Craig was one of my painting and drawing lecturers at uni. Many post-art school years afterwards, and several MIFFs ago, we recognized Craig and his partner, artist Wendy Stavrianos queuing next to us at the Forum Cinema for Agnes Varda’s The Gleaners and I (2000). I hadn’t seen Craig since my graduation and it was our first meeting with Wendy. We had a great natter that night (I seem to remember the previous screening was running overtime). Coincidentally, some weeks later Shane and I were curated into an exhibition with Wendy at Charles Nodrum Gallery: The Painted Fold. It gave us anther opportunity to connect with she and Craig – and so an enduring and treasured friendship was born. Wendy Stavrianos offers a Turkish Delight to an appropriately delighted Shane Jones. 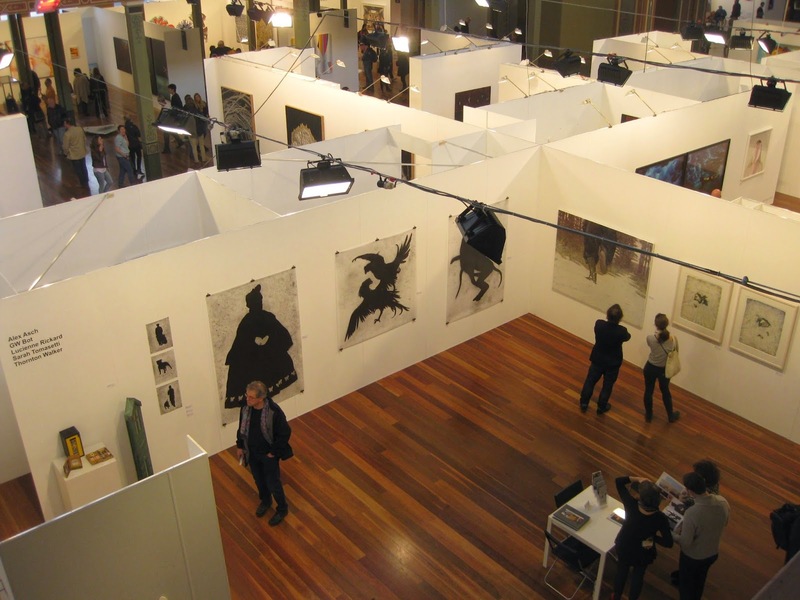 Coinciding with the film festival was the biennial Melbourne Art Fair, which we visited on the last day, prior to the early evening screening of our last MIFF film. I must admit to having mixed feelings about the Art Fair. To my knowledge, Art Overload has never actually killed, or even hospitalized anyone, but feel certain there must have been some close calls. Still and all, we really enjoyed the experience this time around. 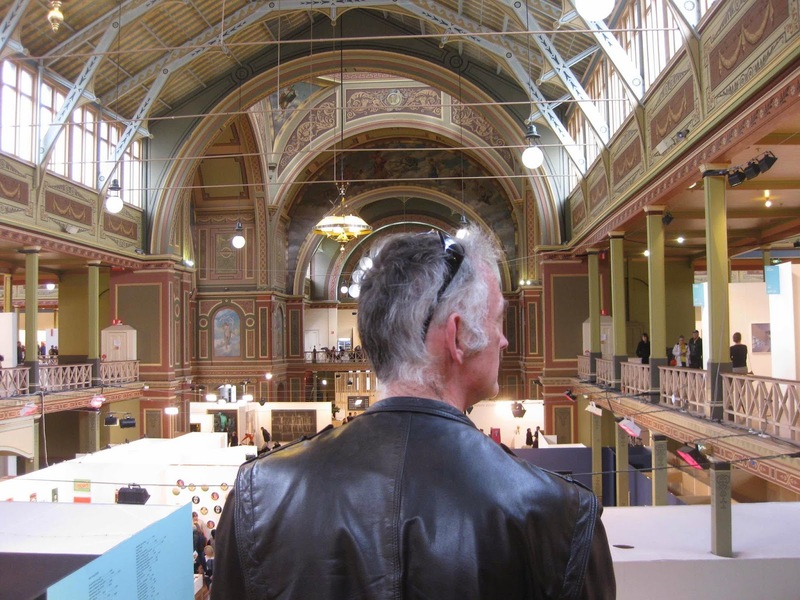 These days I have my head down in the Ballarat studio and lead a comparatively isolated existence; the fair provided an opportunity to see a great deal of what is out there under one enormous roof. Inevitably we bumped into several acquaintances and friends, including Polixeni Papapetrou, Godwin Bradbeer, Jackie Hocking, Rachel Hancock, Margaret Snowden, Adriane Strampp and Peter Lancaster. Stopping periodically for amiable conversation broke up the time, effectively preventing a potentially fatal art overdose. I even bought an artwork, from Arts Project, one of our favourite stands: a wonderful drawing by Bobby Kryiakopoulos of the Wicked Witch of the West, as portrayed by Margaret Hamilton in the move The Wizard of Oz. For the first time, there were two adjuncts to the Art Fair, the Not Fair (which we didn’t get to, although the venue, the Grace Darling Hotel, is fairly local to us) and Spring.1883 at the Hotel Windsor, which featured 20 galleries, each exhibiting in suites over four floors, a brilliant, fun, creatively challenging idea that was wholeheartedly embraced by all the galleries concerned. Our last MIFF movie was The Great Museum, a documentary about the famous Kunsthistorisches Museum in Vienna, its extraordinary collection and the people who work there. 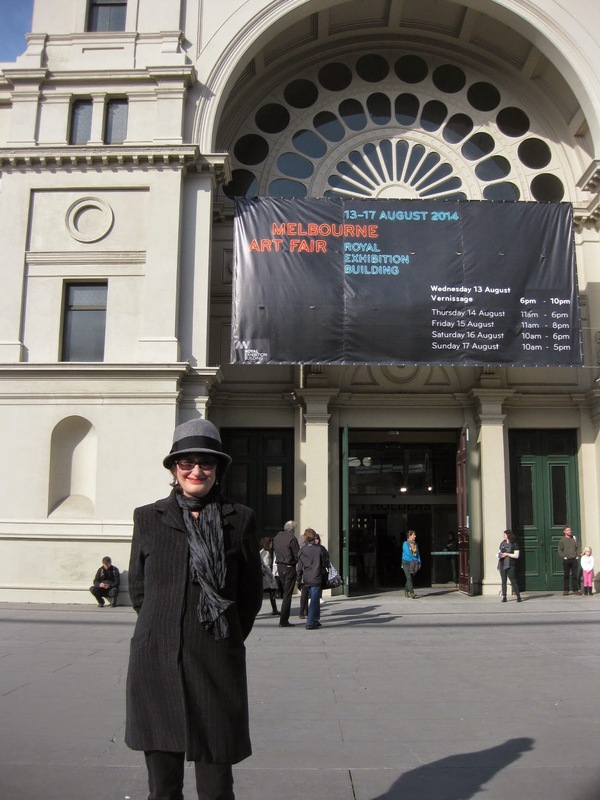 So the twin themes of visual art and film finally converged and our marvelous MIFF fortnight ended on a perfect note. 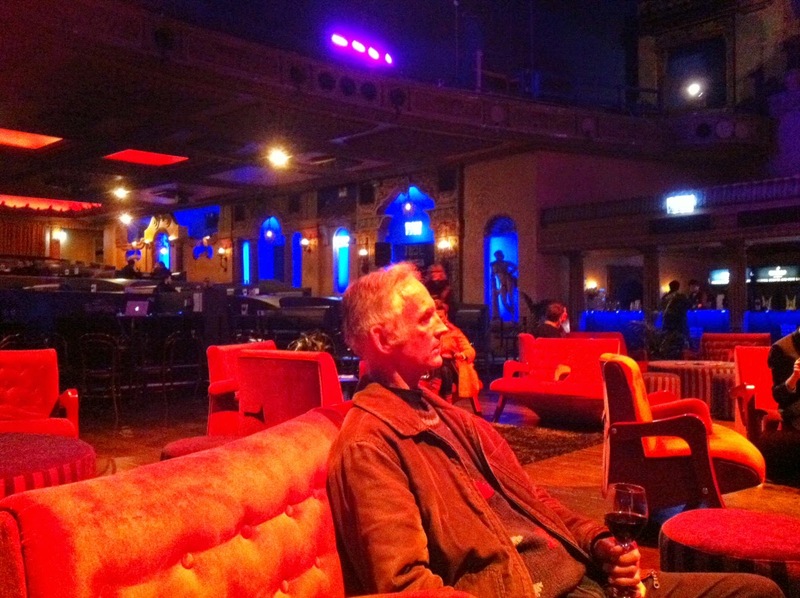 Pictured below: our favourite après movie hangout: the Festival Lounge at the fabulous Forum Theatre. The work is pictured below in various stages of progress. The masked Moth Women look on with thinly disguised disdain as a battalion of Beetle women assembles. Join us, if you can, at the opening: 2-4 pm, Saturday 6 September, or drop by during the show's run. 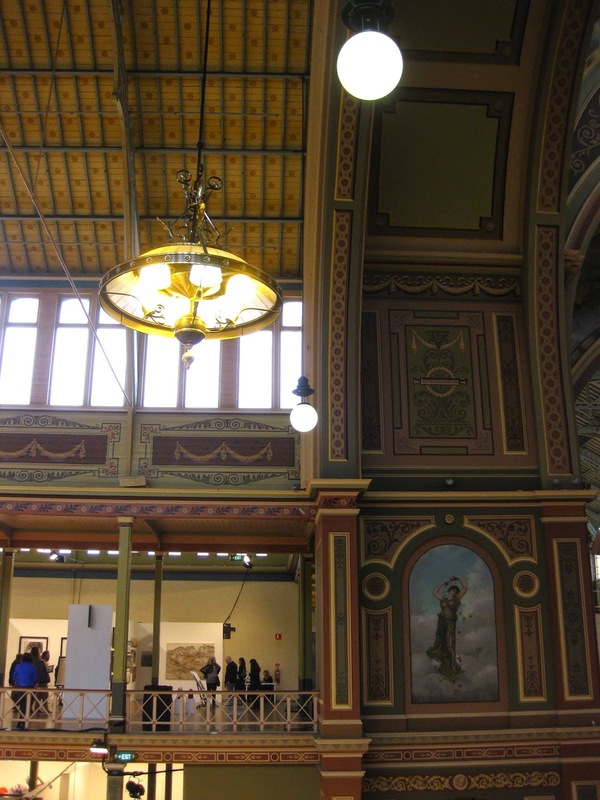 Saturday, August 2 was a MIFF-free day (see previous post) but an eventful one nonetheless. I attended an information session at the Australian Print Workshop (my stint there as a Special Guest Artist of their Summer School has already made my personal list of this year’s highlights). I’m delighted to be one of 15 artists invited to take part in the APW’S first ever Print Fair, which will take place over the weekend of 11-12 October, 2014. The information session, conducted by APW Director Anne Virgo and Manager Jackie Hocking, was tremendously helpful and informative, with a wealth of practical tips about presentation and other vital issues. It was terrific to see fellow APW Print Fair artists Georgia Thorpe and Jazmina Cininas and to meet the other participants. 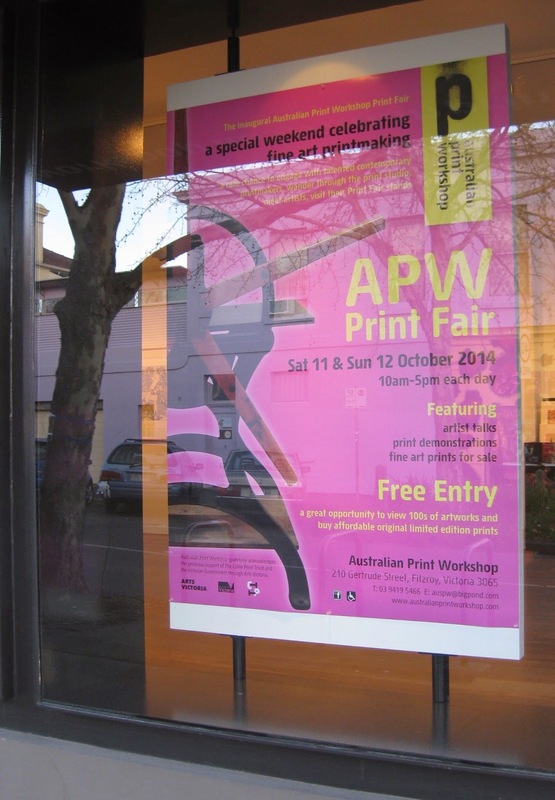 The fair will be held in the APW studios, amongst all those wonderful presses. We already have our individual spots, which were democratically allocated: each of us was invited to pull a number from a bucket. I’m thrilled with mine: number 12 is at the far back of studio one, next to the etching press I used back in my access printing days. 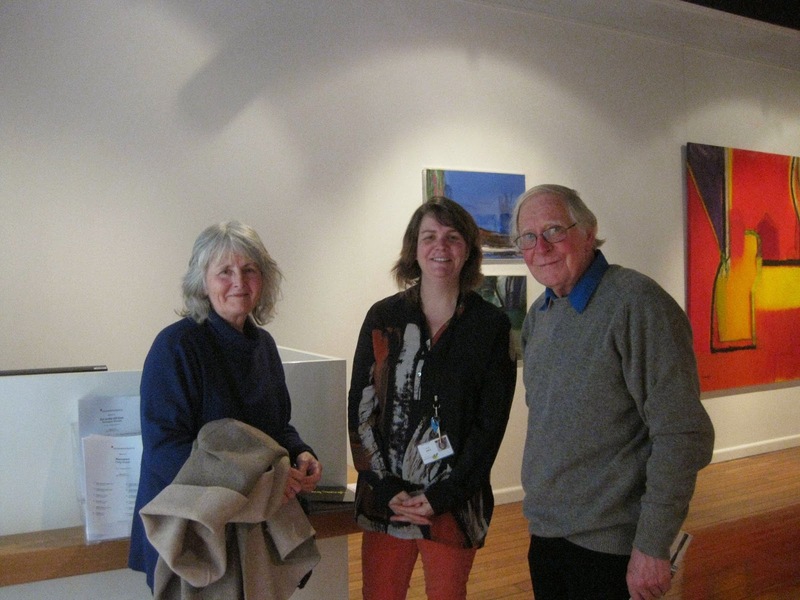 During the Print Fair there will be exhibition of works by Print Fair artists in the APW Gallery. 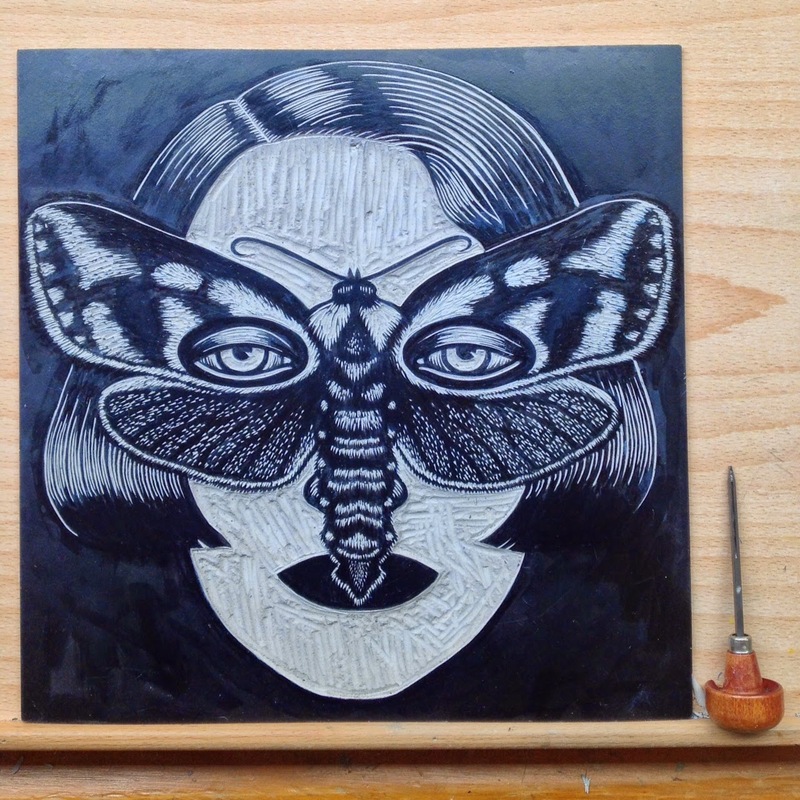 Meanwhile, Jewel Beetle Woman, the linocut I made early this year in collaboration with APW Master Printer Simon White, is part of the APW’s current exhibition, Contemporary Print – Original limited edition prints produced in collaboration with APW Printers. 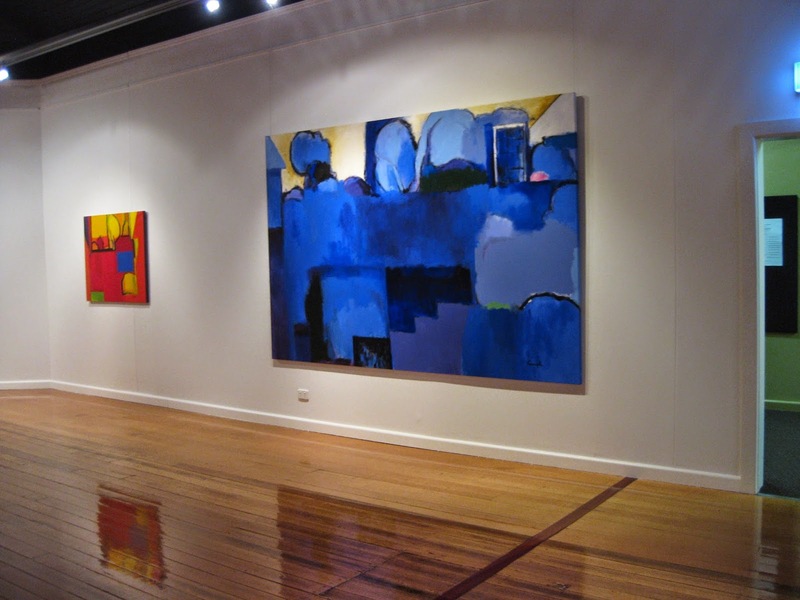 Also featured are works by Lisa Roet, Laith McGregor, Allan Mitelman, Andrew Browne, Jan Senbergs, Emily Floyd, Louise Weaver, eX de Medici, John Wolseley and Chris O’Doherty (aka Reg Mombassa). 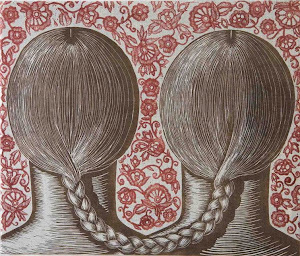 Contemporary Print opened on 19 July and runs until 23 August. Currently I’m spending more time in Melbourne than in Ballarat (generally it's the other way around). We’re in town for the 2014 Melbourne International Film Festival, an event Shane and I eagerly anticipate each year. Our first film screened on the first day of MIFF: Life Itself, an affectionate, moving documentary about the late American film critic Roger Ebert. Fine as Life Itself was, the movie we saw on Sunday, August 3, will be hard to beat. It screened at the Kino cinema, one of the MIFF venues, although Driving Miss Daisy, a three-hander brilliantly performed by Angela Lansbury, James Earl Jones and Boyd Gaines, wasn’t part of the festival. 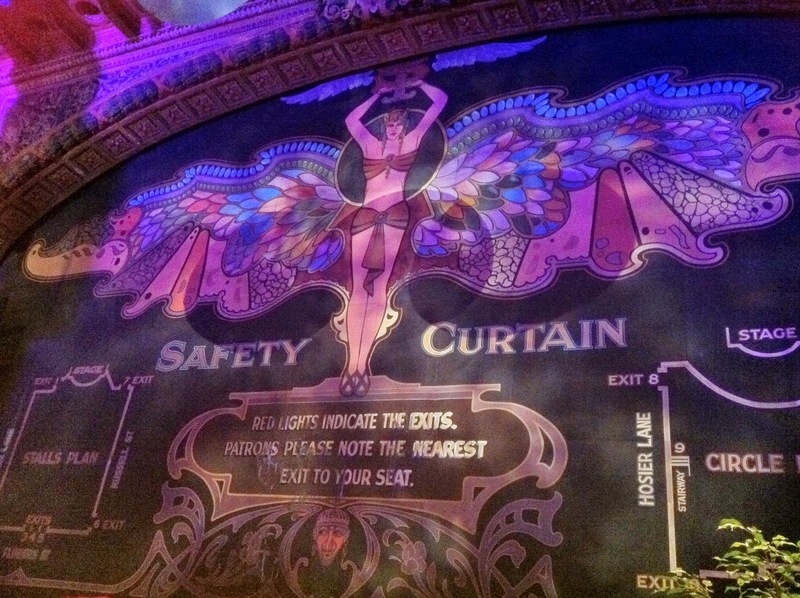 It was filmed in 2013 at Melbourne’s Comedy Theatre during the sold-out season of the play, which regular visitors to this blog may remember I singled out as one of last year’s personal highlights. It’s marvelous that it’s been so sensitively captured on film; having the chance to experience it all over again was an utter joy. 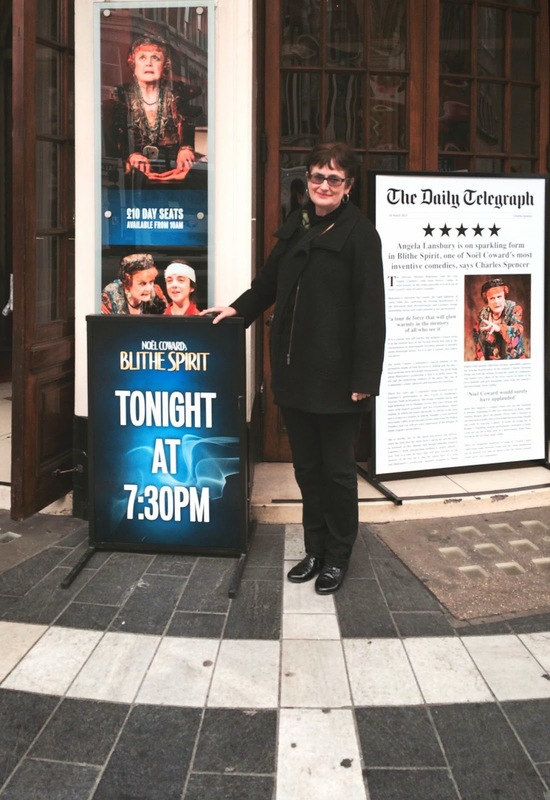 Outside the Geilgud Theatre, London on the day we booked our tickets for Blithe Spirit. I mentioned above that the film will be hard to top, but in fact immediately afterwards it was at least equaled by a riveting, in-depth interview with Angela Lansbury conducted recently at London’s British Film Institute directly after the screening there of Driving Miss Daisy. (Miss Lansbury was in London appearing as Madame Arcati in a scintillating new production of Noel Coward’s Blithe Spirit, which we saw back in April, and for which she received some of the best notices of her career). The interview is a must for lovers of theatre, film and, of course, the incomparable Miss Lansbury. Having said that, counting Shane and I, there were only eight people in the audience. Perhaps it was a mistake to screen it at the same time as MIFF. The Kino also ran Driving Miss Daisy on Saturday, August 2. I hope that at least on that day it got the audience it deserved.